Wilens cited the statistic that 10% of adolescents in the general US population have at some time received a diagnosis of a substance abuse disorder. The age of onset of substance abuse peaks between ages 15 and 20. Wilens said that in a recent survey about use in the past month, among participants in the general population aged 12 or higher with substance use, about 50% use marijuana and about 50% use prescription narcotics (often obtained from their parents’ medicine chest). The rate of mortality from substance abuse has risen dramatically since 1993 and now approximates that from automobile accidents. According to Wilens, rates of emergency room visits and fatalities have increased recently, and this has been linked to opiate overdoses. 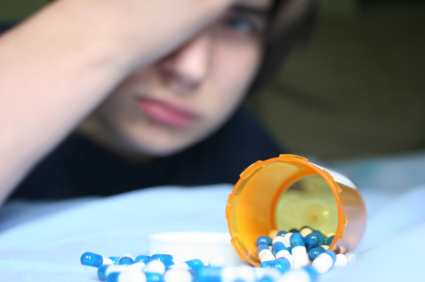 Adolescents with bipolar disorder are at greatly increased risk of substance abuse compared to the general population. Most substance abuse follows the onset of bipolar disorder, not vice versa. Wilens cited the data of researcher Ben Goldstein that on 8-year follow up, 32% of bipolar adolescents developed a substance use disorder. Those treated with antimanic agents were much less likely to develop a substance use disorder. MORAL: Treat bipolar disorder psychopathology in adolescents well and help them avoid substance abuse. Children with persistent emotion dysregulation were: 1) more likely to develop a substance use disorder; 2) more likely to begin using substances earlier; and 3) more likely to have a more severe form of combined (multiple) substance use disorders.